We were kindly asked to experience a stay at one of the most incredible properties we have visited to date, the Palazzo Grimani in Venice (you can read our full review here) last month. 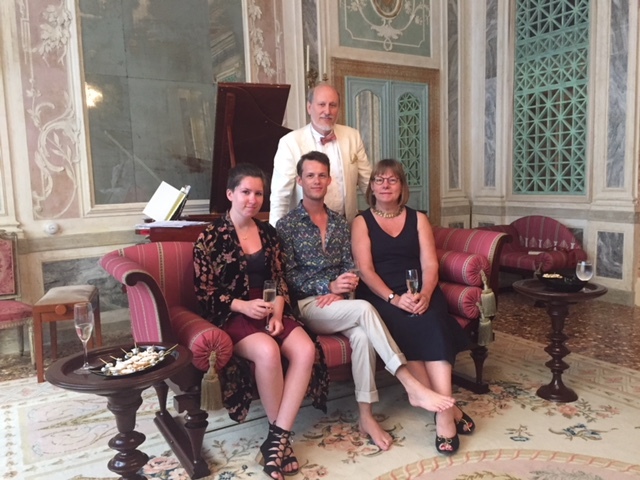 After a wonderful stay and four days in Venice we wanted to share more of the story behind the property, with you, so owners John and Erica Simpson have very kindly answered some of our questions to help provide more of an insight into how truly interesting this property is. John is a classical architect and has had his own practice, John Simpson Architects, since 1979. He has worked on a wide variety of projects which include Public, Educational, Commercial and Residential buildings. In general, the emphasis within the work of the practice is to create an architecture which is timeless: one that uses updated traditional forms to respond to contemporary requirements and modern technology. In this respect, the practice can claim a first for many of its buildings; for instance, the Galleries at Buckingham Palace opened in 2002 by HM Queen Elizabeth II, are the first of their type to incorporate the latest modern conservation technology for works of art within a design that is thoroughly traditional and classical. Over more recent years he has worked on the new public facilities at Kensington Palace, which were opened for Her Majesty’s Diamond Jubilee in 2012, the new quadrangle at Eton College and the new Defence and National Rehabilitation Centre. John is particularly skilled at arranging spaces to maximise their efficiency and to make them enjoyable to use. Much of his work has involved working with new buildings designed within sensitive historic settings and with Listed buildings in conservation areas. Many of these buildings are Grade I Listed. Tell us more about how and why you acquired the property and was it always a dream to own a property in Venice? For us, Venice has the perfect combination of stunning art and architecture, a very rich musical culture, water, boats, and much better weather than London! It was our dream to own a property there for many years. In 1998 we almost bought a property in the Cannaregio but with a combination of the unbelievably complex buying process at that time (declared and undeclared prices etc) and a young family, it just wasn’t the right time. Then in 2014 we went for a late summer trip and thought “it’s either now or never”. 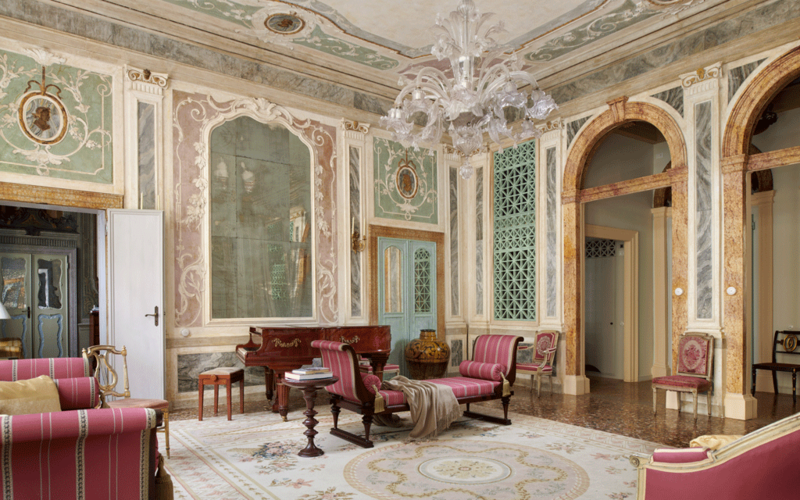 We saw many, many properties but none of them were quite right, but when we saw Palazzo Grimani we knew instantly that we had found the right property. Tell us more about the apartment and the journey you embarked upon to restore it back it its former glory in such a sympathetic way. 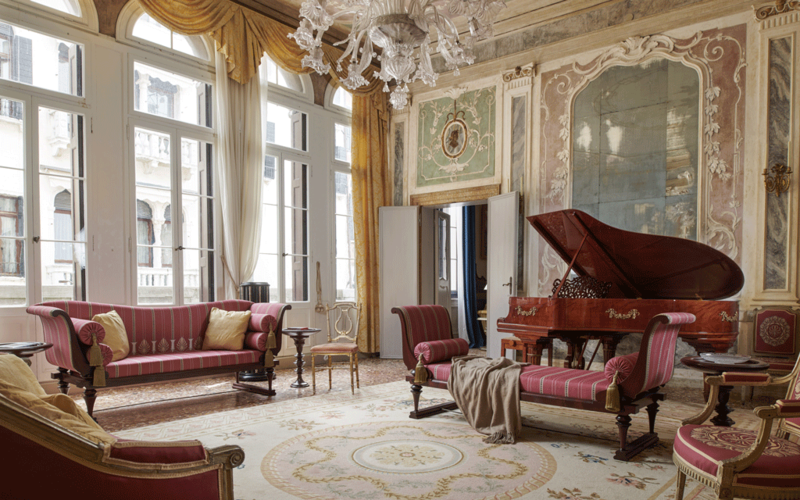 It is a wonderful piano nobile floor of a palazzo close to the Gritti and dating back to the seventeenth century. For many years it had been used as the Bridge Club of Venice and had the advantage of having had remarkably little maintenance (or, most importantly, intervention) over the years. It had many original features, most of which had been covered in several layers of paint as well as the grime of centuries and stained by the cigar smoke of the bridge players, but underneath much had survived relatively intact! 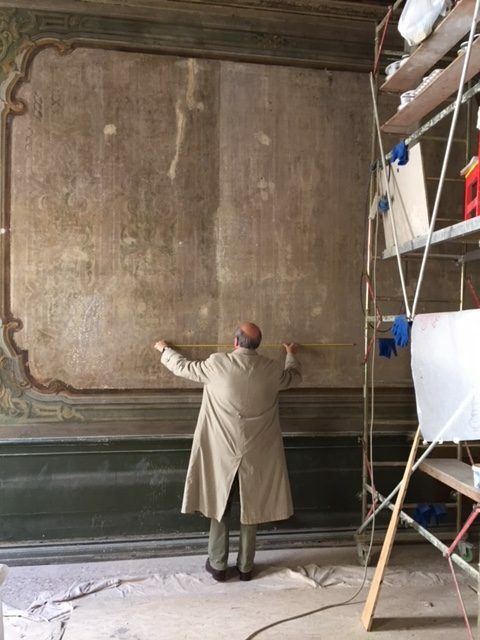 We realised immediately that this would make a stunning home and it was a wonderful journey of discovery – as the work progressed, we uncovered spectacular terrazzo floors and more stucco work and frescos. 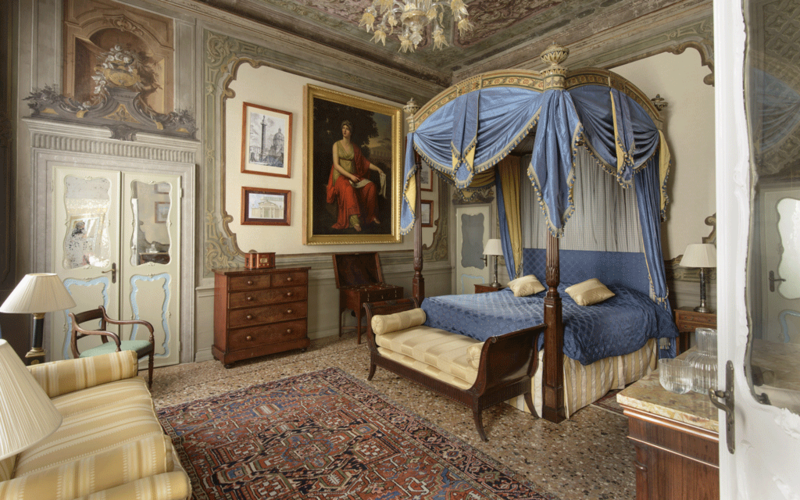 You are right in the heart of Venice at Palazzo Grimani, tell us more about this area and what sort of experience it presents. It’s a wonderfully central location – there are so many world-class museums and galleries very close by – and La Fenice is less than 5 minutes’ walk. It has its own back door that leads directly to the Giglio Vaporetto stop and its location is a little off the beaten track so that there is relatively little issue with crowds of tourists. What are your favourite tips for a trip to Venice – any restaurants, bars, things to do you recommend? To have something that is beautiful, enjoyable and very, very special, somewhere with different spaces to suit your mood. 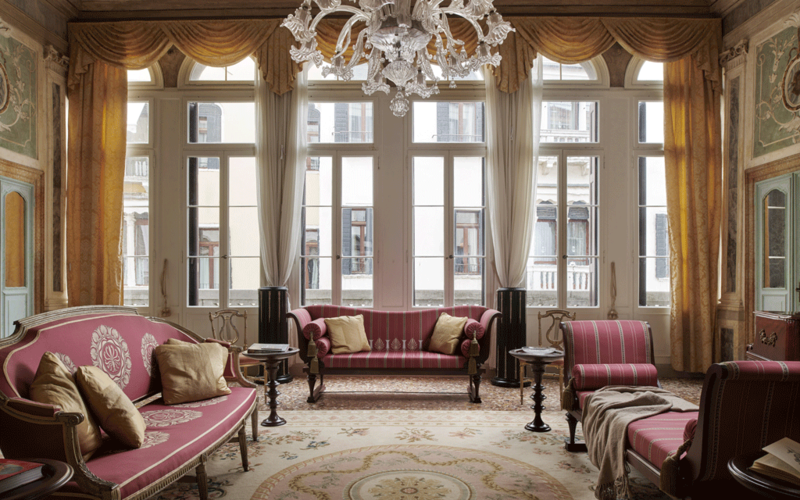 Palazzo Grimani is precisely that – providing a setting that transports you into a very different world of Venice as it used to be. You can curl up with a book in the mezzanine library if you want to retreat, or have cocktails on the balcony, or enjoy entertaining in a more format setting. It does so however using modern technology to make it convenient and all the more enjoyable.